Be sure to check out part one of this series covering Alpha through The Dark! 1995 was a rough time for the overall state of Magic gameplay. With the high of Magic’s first two glorious years behind them, people started receiving cards from Fallen Empires, Ice Age, and Homelands. As I mentioned in my article last week, players sometimes refer to this as Magic’s dead zone - a period of near-universally awful cards. Despite that, there’s still plenty of gems to be found in those sets and beyond that could be potential candidates for Modern Horizons. Today I’m going to continue taking you on a deep dive through the game’s rich history, going through these sets as well as all the way through Weatherlight. Surely by now you’ve seen the numerous jokes about Fallen Empires and Homelands for being downright terrible sets. Make no mistake: they were pretty dang bad. 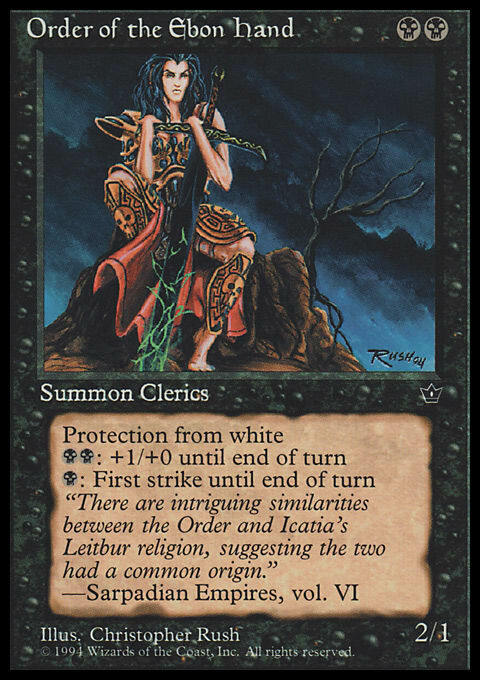 The early days of Thrulls, Thallids, and Homarids were weird, provided dark and strange flavor (one look at Ebon Praetor should say it all), and just weren’t good to play with. That’s to say nothing about the fact that the cards were both overprinted and virtually worthless. That said, there are still a few notables worth checking out. I can’t talk about Fallen Empires without touching on these two cards. High Tide and Hymn to Tourach, along with the already Modern-legal Goblin Grenade, are the most Constructed playable cards in the set by a mile. The real question is ultimately would these cards be candidates into the format? High Tide is nothing but a way for players to dish out degenerate combos. Have you ever seen a High Tide deck go off in Legacy or even the early days of old Extended? A proficient player like Feline Longmore is a genuine treat to watch but a less experienced player is going to struggle through the plays. It can often be like how Ironworks Combo decks looked in Modern prior to bannings, but hard counterspell effects make it a bit more bearable. I think for these reasons, and the fact that we need to be slowing down Modern rather than speeding it up, I can’t imagine High Tide entering into the mix. Hymn to Tourach, on the other hand, might be a bit more bearable. Discard is strong but not degenerate, and Hymn isn’t breaking backs in formats like Legacy where it only shows up once in awhile. The problem with this effect for Modern is that discard effects like Thoughtseize, Inquisition of Kozilek, and Liliana of the Veil are already extremely prominent. Adding more fuel to the fire might not exactly be what the format wants, even if it only likely helps the format’s top decks: Izzet Phoenix and Dredge. It doesn’t seem healthy right now, but could be possible in future Horizons sets, if only to make decks like 8-Rack a little bit better. Here’s a pair of really sweet creatures from Magic’s early days. Iconic art, solid rates, and great effects made them excellent playables once upon a time. 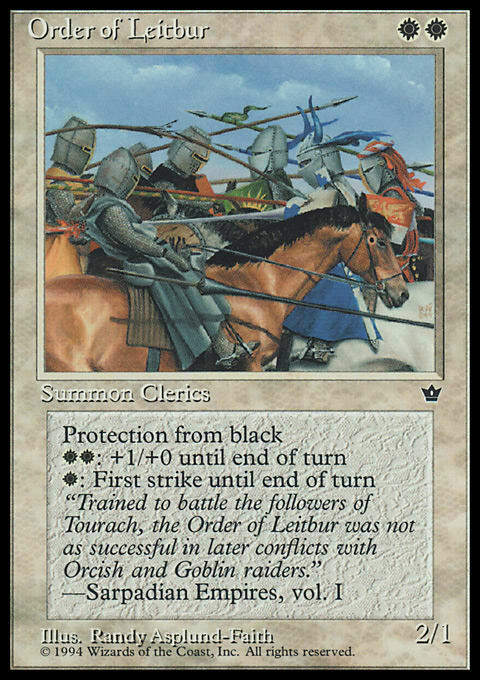 Order of Leitbur even saw play in the first ever World Championship winning deck by Tom Chanpheng in 1996! By today’s standards, this deck is not exactly that great. Sure, cards like Strip Mine, Armageddon, and Balance would still be busted as ever. In small numbers, though, surrounding a deck with creatures like Serra Angel and White Knight, the deck just gets outpaced by many modern day lists. In this sense, I don’t think the Fallen Empires Order creatures, or their Ice Age counterparts Order of the White Shield and Knight of Stromgald, would see much play, yet would be excellent for Limited and nostalgia. With these early sets, there really wasn’t too much by way of great lands. Yes, we had the amazing ABU duals, but we’re not about to see those or something like Snow-Covered duals enter the mix here. What I do expect are some more interesting lands. Even if they’re not fixing mana necessarily, the lands that sacrifice for two mana are both classic and strong. They’re slow entering the battlefield, yes, but they can ramp up your game plan at a rapid speed. While they wouldn’t see too much play, they would show up from time to time. Certainly moreso than the other cool land cycle in this set which includes Bottomless Vault and Dwarven Hold among others. Now here’s some cards on the more utility-oriented side of things. 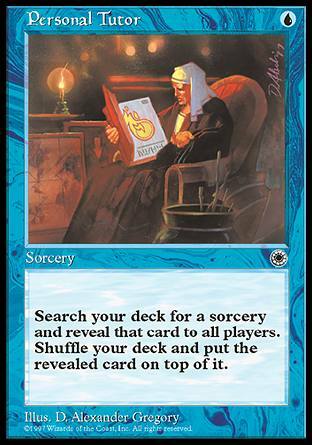 Breeding Pit is historically a card that has been used as an engine, though these days there’s likely better options. Goblin War Drums is in a similar spot, as there’s other cards that give creatures menace like Gruul War Chant, but it would be great to have the classic, especially for straight Red decks. Seasinger is a classic brand of hate against decks with Blue in them. Since we can’t get something like Old Man of the Sea thanks to the reserved list, this would be a great alternative to see. Portent is like a weird Ponder with its draw ability happening on the next upkeep. This can be really good for some decks, however, especially when it gives you a way to set up Miracle spells on your opponent’s turn. It also gives you the option to not just mess with your deck, but also your opponent’s, which can be a big deal in some situations. There’s a handful of classic staples that would be worth showing up. Last week I mentioned Red and Blue Elemental Blasts, but ultimately Hydroblast and Pyroblast are just better spells. They’re essentials in Pauper and sometimes show up in Legacy as well. They’re in constant demand and may be worth bringing in if the original Blast spells can’t be downshifted. There’s also Fyndhorn Elves, which got great new art on Magic Online that we’ve only seen once in From the Vault: Twenty. I think this would be a great spot to put it with the new art and in non-foil. 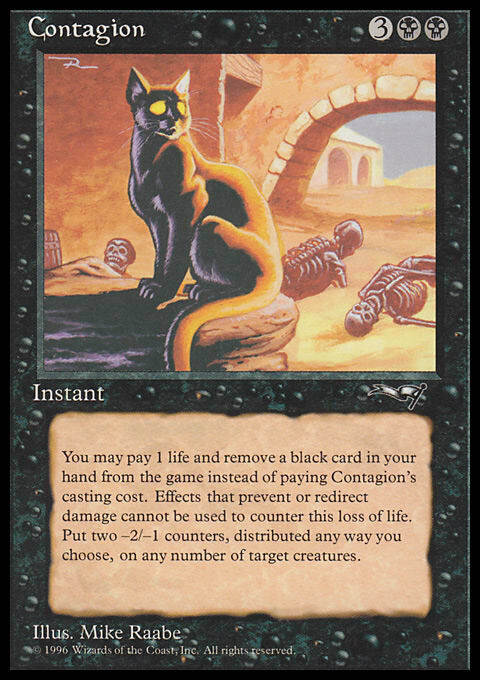 On the topic of Pauper as well, I’d really like to see Pestilence Rats here as well, if only so I don’t need to keep telling players they can’t have it in their decks at paper events when they bust out their Rats deck. 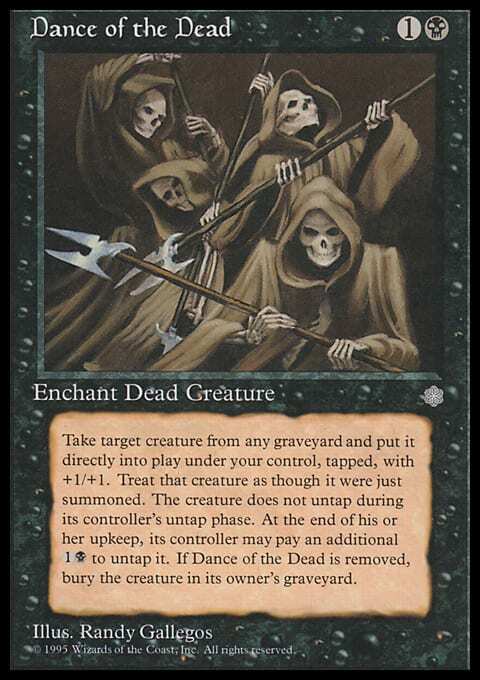 Speaking of rifts on original Magic cards, why not Dance of the Dead as an alternative to Animate Dead? The card is a bit weirder and arguably more fair, but would be a great addition over the stronger choice. The big strike against this one, unfortunately, is its insanely wordy text box, something Wizards has been actively trying to avoid where possible. Nature's Lore, on the other hand, could be a great ramp inclusion. We’ve already got cards like Farseek and Rampant Growth, so why not this classic spell? If you want to be mean, though, Pox could be up your alley instead. Smallpox already shows up from time to time and Pox itself has been a fringe strategy in Legacy for years. Why not give Modern players the opportunity to be cruel in games of Magic? The “one third” bit might seem weird, but we did just see Dire Fleet Ravager get printed, after all. Did you know there are exactly five cards showing up in Modern Horizons that are already in Modern? Those cards are five basic lands. While they could go the route of Battlebond and just put in one sweet looking basic land each, my money is on them going the route of using Snow-Covered Basics. All of these cards have been growing in demand and, in part because of their use in decks like Izzet Delver in Pauper and Skred Red in Modern, a few have been jumping up hard in price. If we don’t see them here, it could be due to speculation that we may be going to Kaldheim in the fall, a snowy Norse-themed plane. For some more utility, why not these cards? Orcish Lumberjack is a slow way of generating fast mana, with some very real diminishing returns. Urza's Bauble saw some play back in Standard once upon a time and with Mishra's Bauble being such a big player in Modern currently, it could stand to see some play today as well. Essence Vortex is a very strange card with really crazy artwork. I’ve used it before in Commander and Cube and it does surprisingly well, so giving it a fresh coat of paint would be absolutely welcome here. Finally, there’s a couple stronger cards that could have potential for the set. Hecatomb is a powerhouse of classic Magic, and while not so good today, could be a potential for some Mono-Black decks. We’re not seeing Necropotence, after all, so why not this? 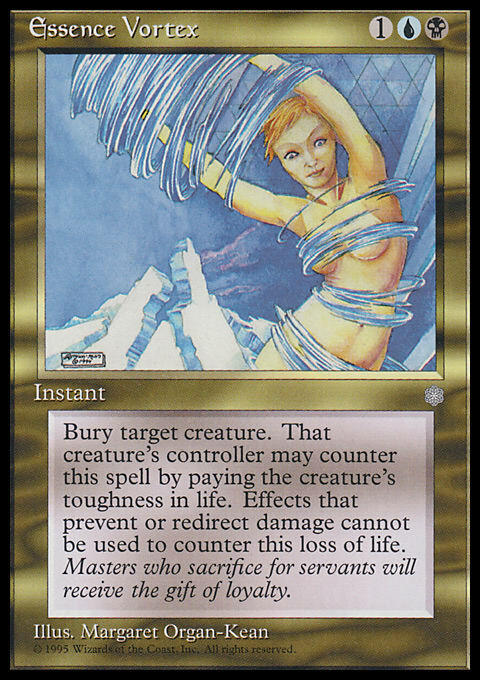 Speaking of classic high power cards, Zuran Orb was at one point banned in Magic. It’s quite a powerful effect, after all, if you think about it. However, I’m not convinced sacrificing lands to stay in the game would break Modern, and thus might be fine, if a touch powerful. 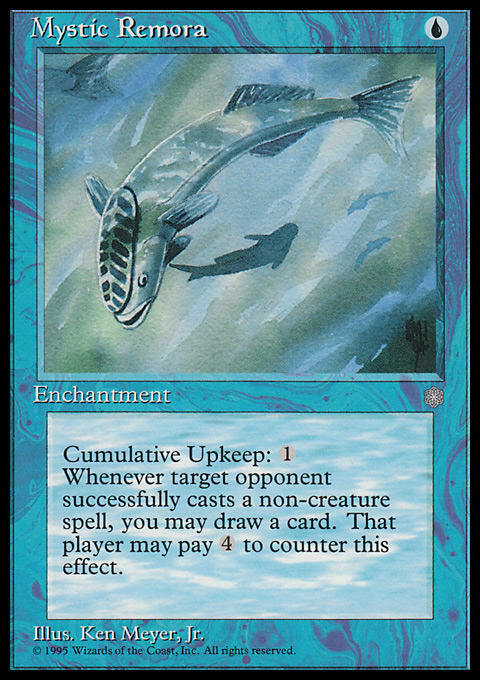 Lastly, there’s Mystic Remora, a card people have been talking about for some time. Another card that is a common in paper but isn’t online, this could be a potential for downshifts to line up the paper and online Pauper formats. Realistically, though, the card is likely too strong for that, and possibly even too strong for Modern in general. Regardless, it remains a possibility among a number of other potential classic candidates for the set. Ah yes, Homelands. Widely regarded as the worst set ever in Magic, Homelands was the lowest point of the dead zone period before Alliances picked it up out of the mud. 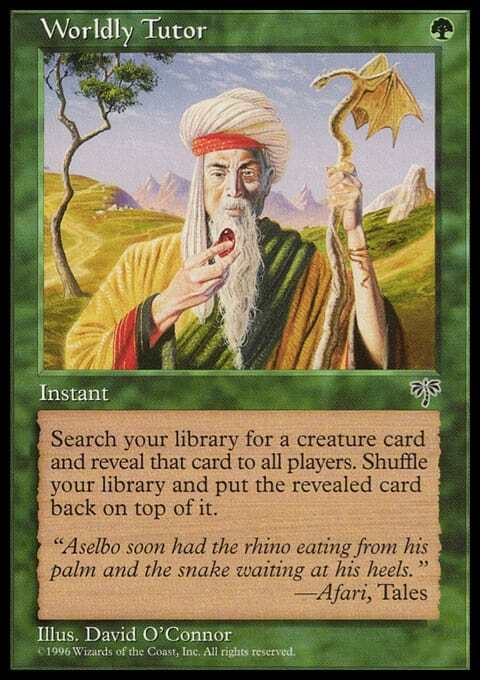 Even cards we fondly remember as classics, like Baron Sengir and Autumn Willow, are actually quite poor in quality. There are a few neat cards we could see. Aether Storm and Primal Order seem like a great set of hate cards. Aether Storm has a weird distinction of where it might go, but it could be in aggressive decks that look to get around the idea of casting creatures. Control decks don’t want it quite so much as they’re not usually in the business of dealing damage, meaning opponents will pay the life fairly quickly, but it’s still a potential tool worth having. Primal Order, on the other hand, would likely do quite a bit of damage to players over time. Even cards like Blood Moon don’t prevent lands from staying non-basic and this would be a great way to handle non-basics further. Here’s a couple sweet cards. Dry Spell isn’t doing too much ultimately in a format where Shrivel and Nausea exist, especially when those do nothing, but would be a safe inclusion for Limited. Sometimes dealing damage can lead to bonuses as well, meaning the card could possibly find a home one day. What would almost definitely find a home, however, is Memory Lapse. This counter lets players still get their spell, much like Remand, but works somewhat more effectively by being a Time Walk in a sense. It would be a great spell to have in the Horizons arsenal if not this time around then the next time. Alliances is arguably the set that saved Magic, and for good reason. The cards might not seem too good by modern-day standards, but they were amazing at the time. Like Ice Age, it’s impossible to talk about Alliances and not bring up the most important card from this set for the game: Force of Will. The card is a true iconic staple and is the glue that holds Legacy together. By two-for-oneing yourself, you can counter a problem spell from an opponent without paying any mana. It’s likely this is fine for Modern, and a great way to handle a number of the problems the format has been presenting, but it may not be the right time for it. If we don’t see it here, than I’d absolutely expect it in a future Horizons set. What I could see, however, are a couple of the other free spells. Pyrokinesis and Contagion offer some utility for decks that might otherwise be in need of something to deal with other decks more effectively for little to no cost. 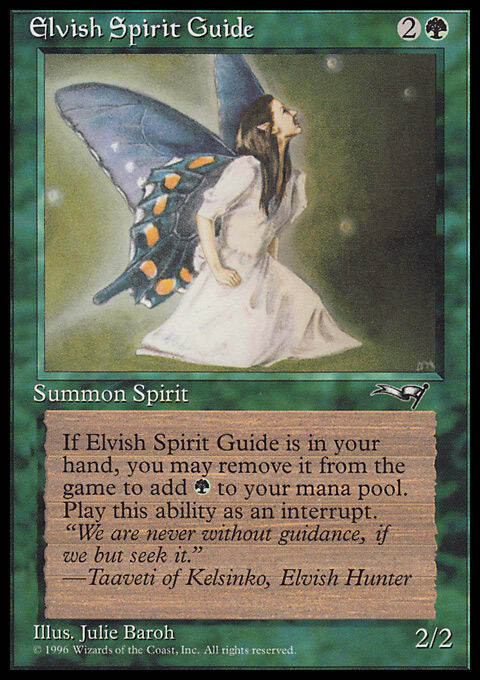 Speaking of free stuff, Elvish Spirit Guide is also a possible candidate for the set, though with talk of Simian Spirit Guide being a possible ban target, they may shy away from this one. I think the Elf providing Green mana is less dangerous than Red mana, which allows fast Through the Breach or Blood Moon plays. With the realization that Modern Horizons has no fetch lands in it, people grew worried about what that might mean for Modern with prices getting out of control. It’s also brought with it speculation that we could see a classic set of lands back with it: the slow fetches from Mirage. These ones, taking an extra turn before they can be used, would be a fine addition. The set could even be used as a vehicle to finish the cycle by printing enemy slow fetches should they choose to do so. The Tutor mini-cycle is also a particularly memorable one from the Mirage block. While these may be a tad too strong (particularly Mystical Tutor and especially Visions’ Vampiric Tutor, both banned in Legacy), they’re easy cards to point to as being iconic and tremendously playable. I don’t think we’ll see these but rather some others I’ll get to shortly. For some more utility options, we’ve got Crystal Vein as a one-time use land that could speed up certain decks. 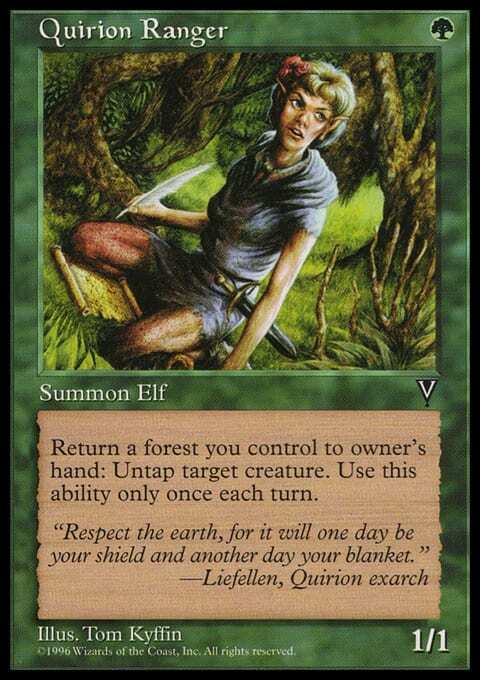 Like Elvish Spirit Guide, this one might be frowned upon due to the reputation of fast mana currently, but the fact that you can only use this once a turn puts a hard restriction on the effect. Speaking of restricting effects, Cursed Totem would be a stellar reprint that could hinder creature decks, notably ones like Elves that seek to activate numerous abilities. 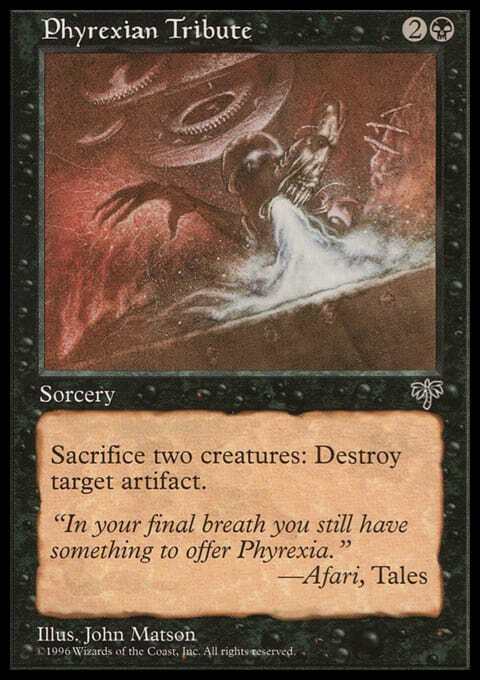 Lastly, as a bit of a more oddball option, we have Phyrexian Tribute. Why this card, you may ask? I can’t think of any Black artifact removal spells and it could be sweet to have show up, even if it breaks the color pie in half. Unfortunately, like most of the Mirage block, a lot of the cards that are playable by Modern standards and both aren’t Modern legal nor on the reserved list is pretty thin. Thankfully, there’s still some great choices. I’d be remiss if I didn’t bring up a few sweet Pauper notables. Quirion Ranger would be a fine addition for Elves, though I think Wirewood Symbiote would be a much better option myself, especially since we already have Scryb Ranger. Impulse would be excellent, however. After all, we did just see the printing of Shimmer of Possibility in Ravnica Allegiance, which is just a sorcery-speed version of the spell. I think it would be a great tool for Modern to have and printing it as an instant seems totally fine for a set like Modern Horizons. Lastly is Fireblast. One of the more controversial options on this list, and for good reason. Can you imagine what this would do for Burn? I personally don’t think we’ll see this show up, but it’s certainly a possibility. Because Burn already is fairly light on actual land count in the deck, I think Fireblast would only show up in small numbers in the list. It would, however, be absolutely backbreaking when it shows up. If we see Enchantress getting support in this set as people have suggested, Elephant Grass seems like a shoe-in. Being a key part of the Legacy Enchantress builds, the card allows players to set up their gameplan uninterrupted by aggressive opponents. 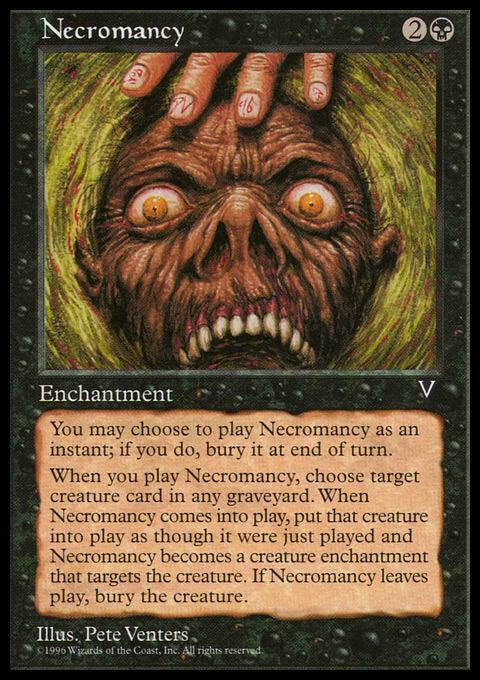 Necromancy gives us a more fair option as far as reanimation spells go, and could be the bar for what we should expect at the very least this time around. 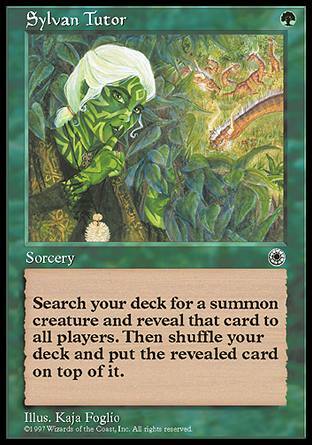 Lastly is Prosperity, a classic staple of the first combo deck of all time: Pros-Bloom. 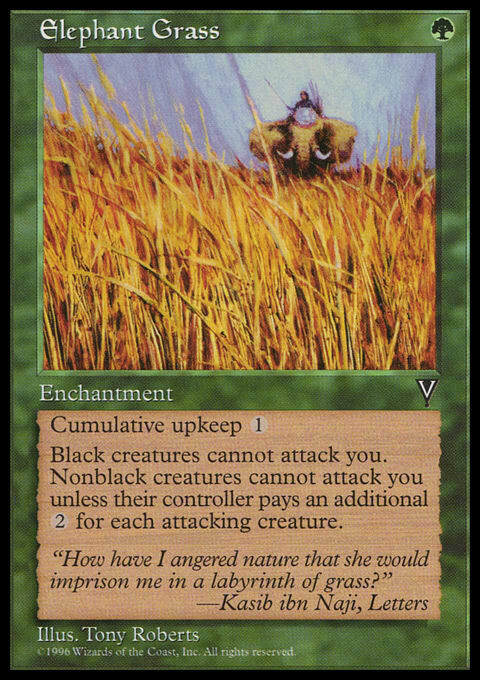 We can’t see the original engine cards of that deck, Cadaverous Bloom and Squandered Resources, show up, but we can get this great card, used today largely as a casual all-star in formats like Commander. Did you know that Portal came out between Visions and Weatherlight and that many classic cards like Raging Goblin came from the set? Because the set was geared toward being a starter-level set, the cards are incredibly watered down, but there’s still a handful of possibilities. There’s a small Tutor cycle in Portal that’s meant to be riffs on the ones from the Mirage block. The main difference is that each of these cards are sorceries due to the limits of the Portal sets and Cruel Tutor has a higher mana cost than Vampiric Tutor. While the other Tutors may be contenders (except Vampiric), these might be more in line with what to expect due to being strictly sorceries if any Tutors show up at all. Armageddon might be just a bit too strong for Modern realistically, but you know what wouldn’t be? Devastation. The Red bombshell has been a casual all-star for years and has only ever seen printings here and in Starter 1999. The price on the card has been steadily rising to this low supply and I feel that Modern Horizons could be just where we want to see this extreme board wipe show up. Doomsday has been a card people have been talking about for awhile. It’s been an insanely fringe option for Legacy and likely wouldn’t do much in Modern. That said, it would definitely be a prime target for brewers everywhere, as it gives you the opportunity to win the game on the spot with the right set up. Buried Alive does the same, allowing for some serious reanimation shenanigans if you’re allowed to fill your graveyard. Even without reanimation spells, you know what it goes along with? A certain Arclight Phoenix, that’s what. Finally, you can’t talk big setup plays without mentioning Veteran Explorer. A classic of Nic Fit style decks, it would give Modern ways to play big things without relying exclusively on Tron for its big mana. We might not be able to see Null Rod to shut down artifact decks, but we might not need to when there’s cards like Serenity that we can just use instead. Move over Kataki, because this classic might just be filling your shoes soon enough. 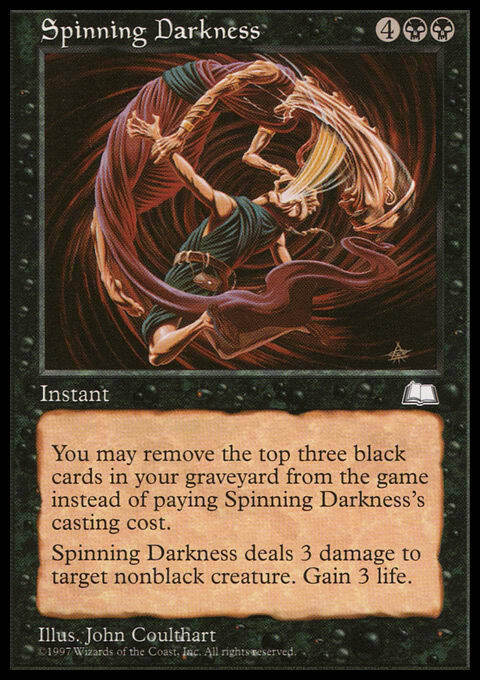 Spinning Darkness is a great removal spell but also suffers from the necessity of graveyard order, much like Nether Shadow in ABU. Wizards did just remove a prominent, long-standing bug from Magic Online involving the card, however, which could be a sign of it showing up. Angelic Renewal does graveyard nonsense in a much different manner. Could you imagine evoking a creature like Mulldrifter or Shriekmaw with this card on the battlefield? Last but not least, I want to give an honorable nostalgic mention to Ophidian. 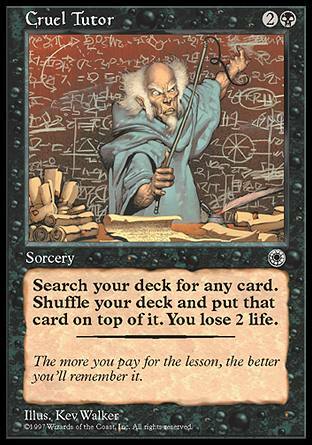 Look, this card is actively bad by today’s standards in a world where we have cards like Stealer of Secrets, but it’s hard to ignore the classics. Ophidian was a mainstay of competitive Magic in its early days and would be a great card to have here, if only for limited and to put it into Modern. That concludes this part of the History on the Horizon series. What cards out of these sets would you like to see that I missed? Next week I’ll be back to talk every set from Tempest to Prophecy and hoo boy is there a lot to go over. We’re going to be hitting Urza block, after all, so hold onto your butts because it’s going to get bumpy!